2019 Acura ILX, ABS brakes, Active Cruise Control, Compass, Electronic Stability Control, Front dual zone A/C, Heated door mirrors, Heated front seats, Heated Front Sport Seats, Illuminated entry, Low tire pressure warning, Power moonroof, Remote keyless entry, Traction control. 2019 Acura ILX ABS brakes, Active Cruise Control, Compass, Electronic Stability Control, Front dual zone A/C, Heated door mirrors, Heated front seats, Heated Front Sport Seats, Illuminated entry, Low tire pressure warning, Power moonroof, Remote keyless entry, Traction control. 2019 Acura ILX Premium ABS brakes, Electronic Stability Control, Front dual zone A/C, Heated door mirrors, Heated front seats, Heated Front Sport Seats, Illuminated entry, Low tire pressure warning, Perforated Milano Premium Leather Seat Trim, Power moonroof, Remote keyless entry, Traction control. 2019 Acura ILX Premium & A-Spec, ABS brakes, Electronic Stability Control, Front dual zone A/C, Heated door mirrors, Heated front seats, Heated Front Sport Seats, Illuminated entry, Low tire pressure warning, Perforated Milano Premium Leather Seat Trim, Power moonroof, Remote keyless entry, Traction control. 2019 Acura TLX 2.4 Liter DOHC 4 Cylinder engine 206 HP, 8 Speed Dual Clutch Transmission, Integrated Dynamic System, Precision All Wheel Steer. Jewel LED Headlights, Power moonroof, Heated front seats, Multi view Backup Camera, Smart entry with push button start. 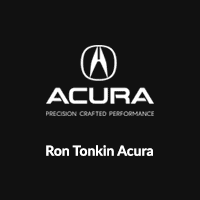 You will find all TLX models will be equipped with the AcuraWatch safety package including Collision Mitigration Braking System (CMBS) with Head-up warning, Forward Collision Warning (FCW) system, Lane Departure Warning (LDW) system, Lane Keep Assist System (LKAS), Road Departure Mitigation system. Also the all new TLX will be equipped with Apple Carplay and Android Auto.